Cleans up the solution for the next time you open it. 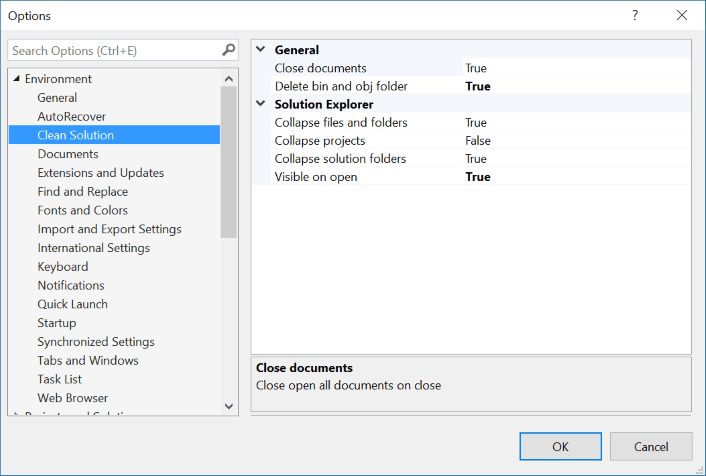 Closes open documents and collapses folders automatically when a solution is being closed. When Visual Studio closes or the current solution is being manually closed, this extension will perform clean up. All open documents will be closed when the solution closes. This makes solution load faster for the next time you open it. Projects and solutions can quickly become noisy to look at when folders and nested files are expanded in Solution Explorer. This extension automatically collapses all expanded nodes except for project nodes. Be default, solution folders are collapsed as well, but that can be changed in the options. 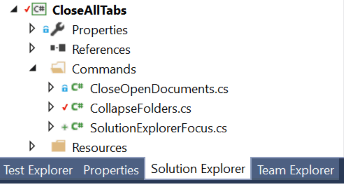 Ensures that Solution Explorer is the active tool window when you open a solution. This is useful if you're tool window layout docks Solution Explorer with other tool windows in the same location. This options will delete bin and obj folders from all projects in the solution on close. Note that if any file under bin and obj is under source control, the folders won't be deleted. 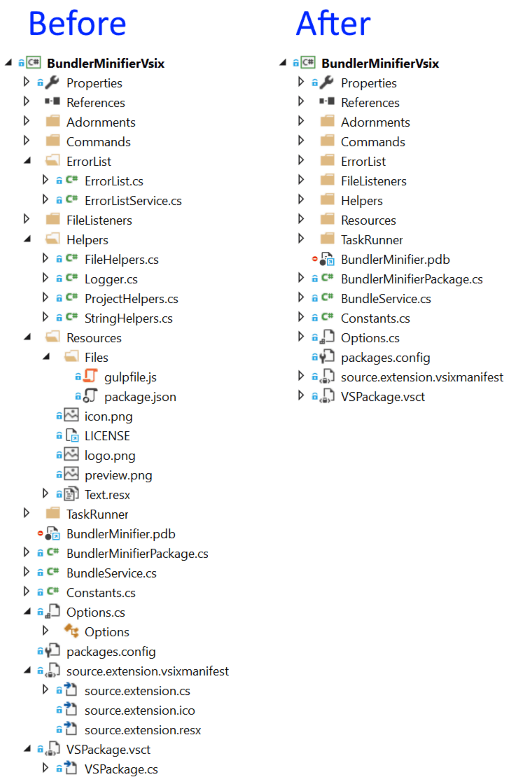 The bin and obj folders are usually safe to delete since they are automatically generated when the solution/project is being build by Visual Studio/MSBuild. This feature is off by default, but can easily be enabled in the settings. Disable the individual features easily from the Tools -> Options dialog.